The brand new Sports Performance Center at Texas Tech will host the Big 12 Indoor Championship for the first time this Friday and Saturday, and it will provide the setting for what should be a fabulous weekend of track and field competition. The hometown Red Raiders (No. 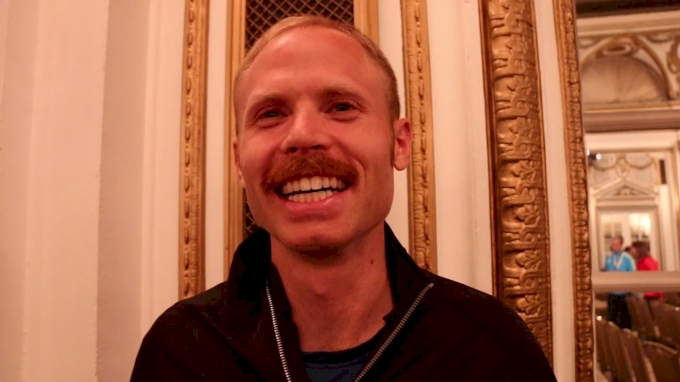 3 in FloTrack’s NCAA rankings) will look to defend their team title on the men’s side, while the Texas women will do the same under first year head coach Edrick Floreal. 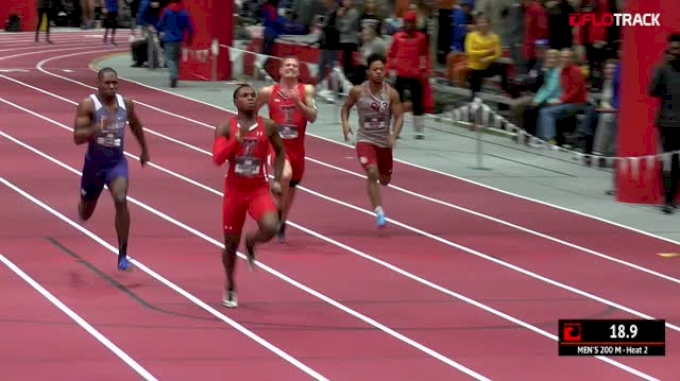 The Red Raiders will tally a massive point total in these two events between 2018 NCAA 200m champion Divine Oduduru and 2019 200m NCAA leader Andrew Hudson. The pair have matching 6.56 60m marks that stand as the only sub-6.60 times in the conference, and they are also the only Big 12 sprinters to break 21 seconds in the 200m. Whoever wins each event will have good reason to like his chances to win a NCAA title in two weeks time. 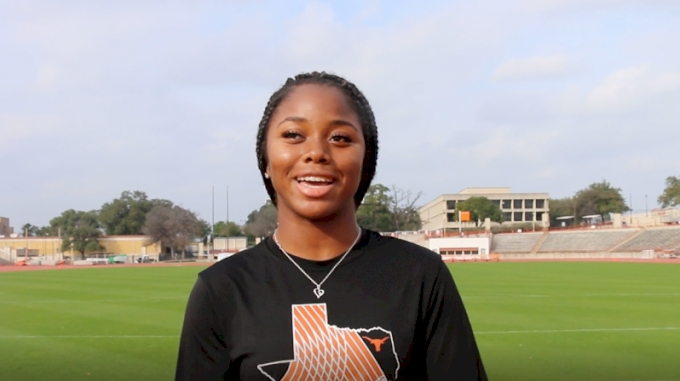 Texas freshman Kynnedy Flannel shocked the NCAA when she dropped a then NCAA-leading 22.88 200m (currently No. 2 in 2019) in mid-January at Clemson while beating reigning NCAA outdoor 400m champ Lynna Irby. Flannel owns the Big 12’s fastest marks in the 60m and 200m this season, but she’ll face heat from teammates Teahna Daniels (60m) and Serenity Douglas (200m) as she looks to win her first conference titles. 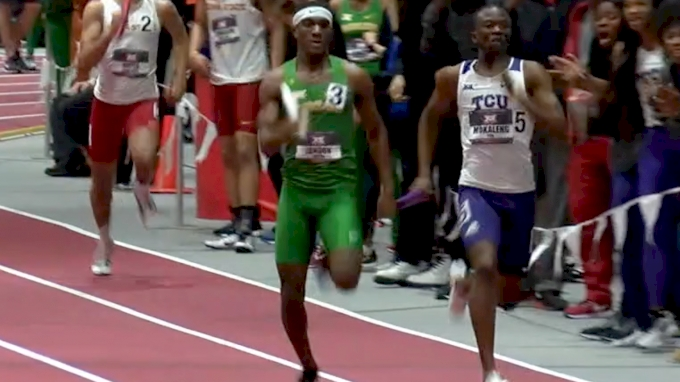 Everything is bigger in Texas, and that’s true for the Big 12 men’s 400m which will be a three-way Lonestar State battle. 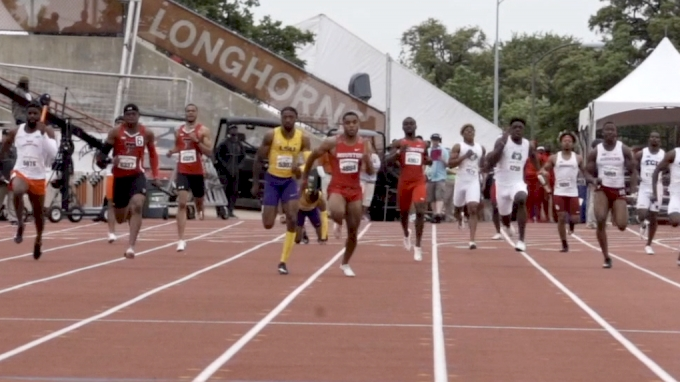 Texas freshman Jonathan Jones ripped a 45.38 Texas Tech facility record the last time he raced, and he’ll enter his first Big 12 Championship as the favorite in a deep men’s 400m. 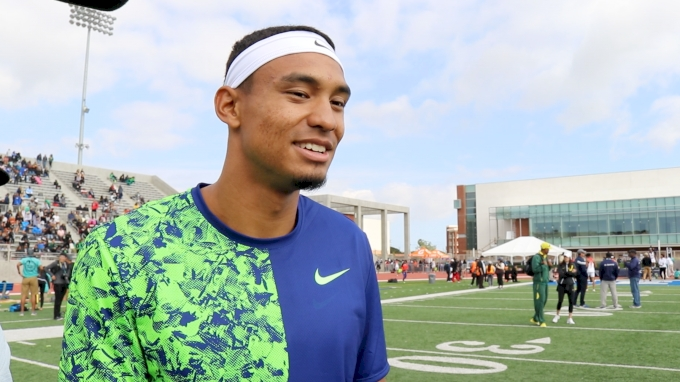 But Baylor’s Wil London and TCU’s Derrick Mokaleng-- first and second at outdoor conference in 2018-- will apply significant pressure to Jones in a race that will feature three of the eight fastest NCAA quarter-milers in 2019. Women’s 800m - Will Aaliyah Miller Regain Her 2018 Form? Baylor’s Aaliyah Miller has two primary goals at Big 12: defend her 800m conference title and nab a NCAA qualifier in the process. Neither task will be easy. Miller has yet to break 2:07 this season (top 16 cut-off sits at 2:05.90), while Texas’ Gabby Crank has nearly lapped the conference with a 2:04.50 that is currently 1.5 seconds faster than anyone else this year. 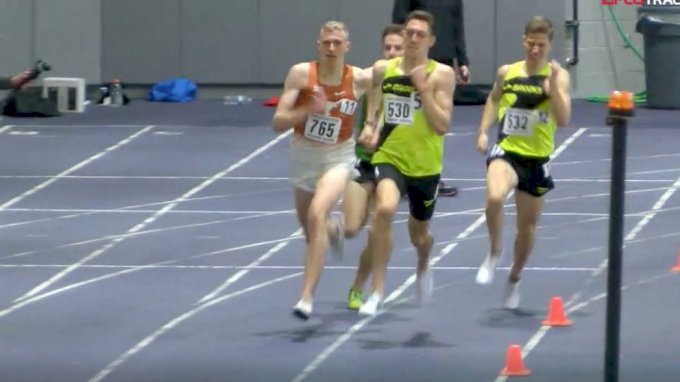 Sam Worley and Alex Rogers of Texas are the lone sub-4:00 milers in the Big 12 this season, and both have reason to like their chances to win in Lubbock. Rogers is the defending conference champion, while Worley just broke the Longhorn school record with his 3:57 at the Husky Classic. The conference 3k is a “kitchen sink” event where teams in the title hunt deploy virtually every distance runner on their roster, and in the not-impossible scenario that each of Texas, Oklahoma State and Iowa State are still in contention this late in the meet, this event will be pure chaotic entertainment. 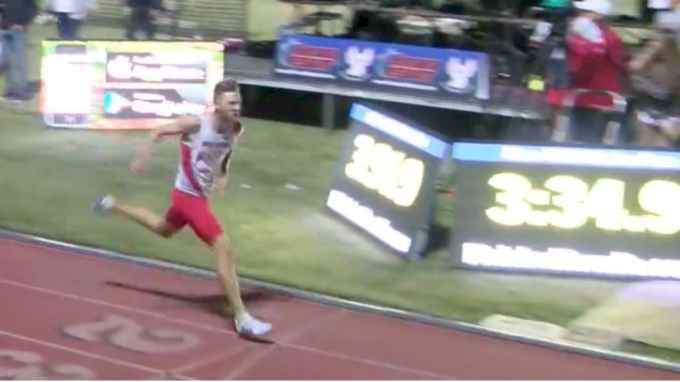 Alex Rogers owns the Big 12’s fastest mark of 2019 (7:51.11), but Iowa State’s Andrew Jordan and Edwin Kurgat, as well as Oklahoma State’s Isai Rodriguez, are on equal footing with Rogers in the distance. 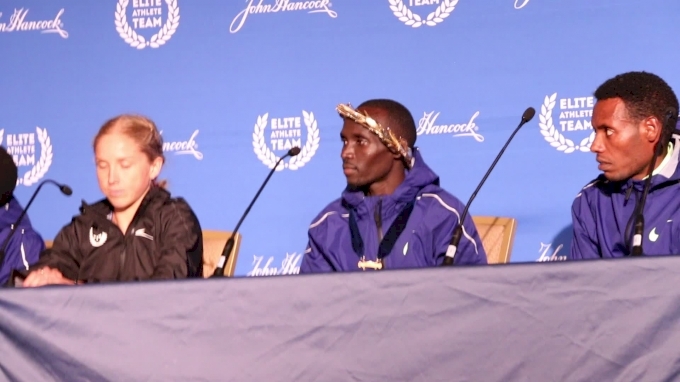 2018 NCAA 10K champion Sharon Lokedi of Kansas swept the 5K and 3K at Big 12 Indoor last year, but repeating that feat won’t be easy in Lubbock. She shouldn’t have any problems in the 5K-- her 15:15 PR is 40 seconds faster than the field-- but 2018 Big 12 XC champion Cailie Logue of Iowa State will pose a threat in the 3K. The Iowa State freshman was less than four seconds behind the Kansas star the last time the pair raced on Feb. 8, and of course, Logue shockingly defeated Lokedi at Big 12 XC in October. That will certainly be on the minds of both women come Saturday.